Inmates will probably never know this, but the new 260,000-square-foot jail going up in San Mateo County has a foundation of environmentally-friendly Graniterock concrete. On top of that, the floors of the eight-story detention center will be built with the Company's same green concrete. 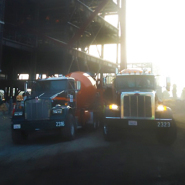 Graniterock's concrete team is set to pour nearly 10,000 yards of low-carbon concrete at the Maple Street correctional facility, which has been under construction since July 2013 with general contractors Sundt-Layton, a joint venture. More than half of the concrete already has been poured, and Graniterock concrete sales representative Zack Booth says the rest will be poured during the next six months. 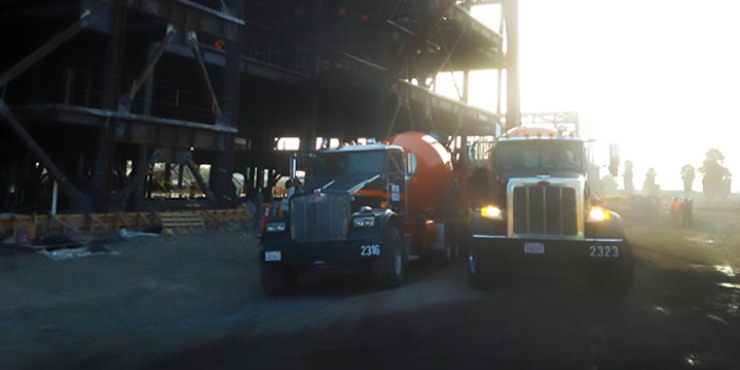 Graniterock worked with subcontractor Urata and Sonsto provide a concrete mix with up to 50 percent cement replacement. Zack says the cement replacement equates to a carbon dioxide savings of approximately 270 pounds per yard. "The jail is going up right across the street from our concrete plant on Bloomquist, so it's been cool to watch the progress," Zack said. "We've done everything in our power to make this a great project for the customer." The San Mateo County Sheriff's Department's state-of-the-art facility is estimated to cost more than $165 million. Sheriff's officials say the new jail is needed to replace a dilapidated women's jail and to reduce ongoing overcrowding at the men's facility in downtown Redwood City. They hope to have the jail open in mid-2016 and, with Graniterock's green concrete, achieve LEED silver certification along the way.